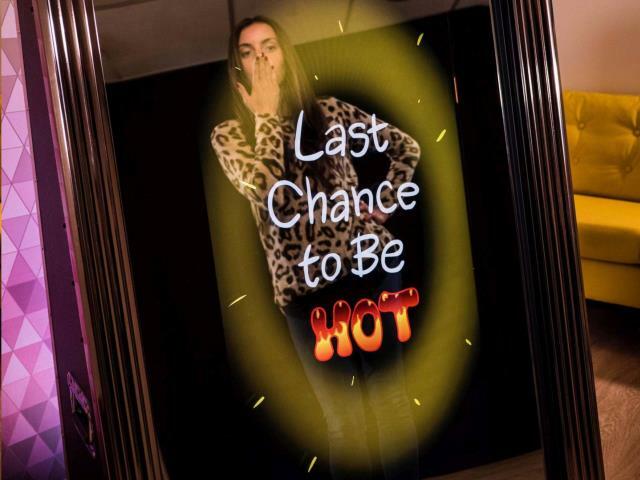 Our Magic Mirror is an innovative, stand-alone photo booth that can capture full-length pictures, allowing you to show off your beautiful wedding dress and your guests attire. Once the image has been captured, you can then choose to add a signature or any kind of writing to it using the screen paint feature. The vibrant animations and amusing voice-overs will provide the next level entertainment that you re looking for. 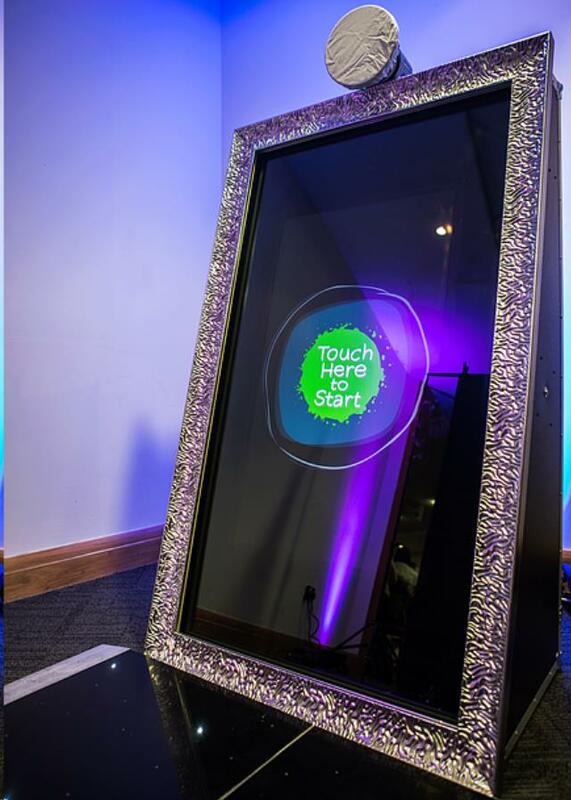 The Magic Mirror allows guests to create beautiful, high quality images using innovative technology that is easy to use. Taking a selfie has never been so much fun until now. Choose from various sizes for your high resolution take-home prints: 2 6 or 4 6. You can even customize the template with your wedding date and hash tag. 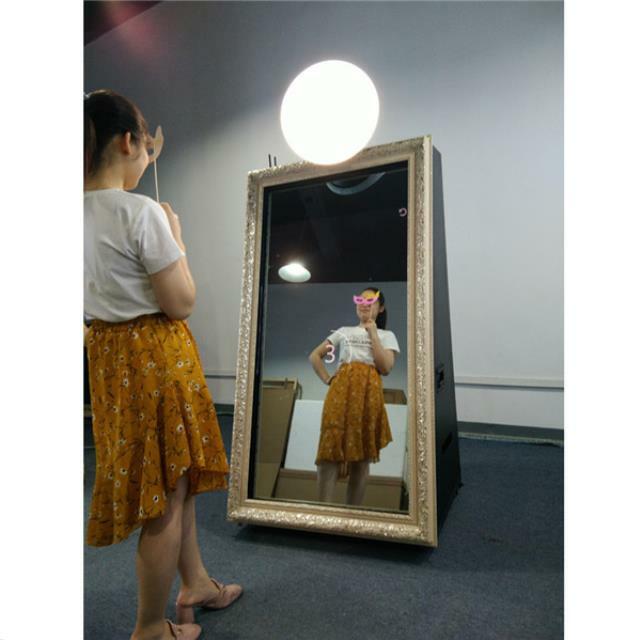 * Please call us with any questions about our photo booth magic mirror rentals in Columbia and Jefferson City MO.